Smiley’s child carers come from many different backgrounds and may possess various childcare qualifications. To give a brief insight in to these qualifications and their abbreviations, you may find the following list helpful. The Council for Awards in Childcare and Education has recently taken over the conduct of this diploma and now also awards a one-year certificate in Childcare and Education. What the course involves: 14 different modules covering both theory and practical areas of childcare. What the qualification allows the student to do: Nannies who have a CACHE certificate are qualified to start their career in childcare and begin working with children. This is a two year course covering the ages of 0-7. The NNEB is probably the most recognised course and gives students an in-depth knowledge of the physical, intellectual, social and emotional needs of the different ages. Other subjects include: health, hygiene, first aid and appropriate play. The course gives students hands-on experience in hospitals, schools and with families. A BTEC National Diploma in Child Studies (Nursery Nursing) indicates the holder studied for a full time course of a higher level than the NNEB diploma. The course places more emphasis on the academic work and includes modules for those interested in teaching, nursing, social work and childcare. This BTEC diploma is a full-time, two-year course and thus distinguishable from the BTEC National Certificate in Childhood Studies which is a lower level, one-year, part-time course offered to mature candidates. These NVQ courses operate at various colleges as a vocational alternative to A levels. They are administered by City and Guilds and deal in Childcare and related studies. NVQ Levels 2,3 & 4 can take up to two years to complete and are competence-based. Students are given hands-on experience and are subject to assessment in the workplace. These courses have replaced the old one-year City and Guilds course. There are no examinations for an NVQ. Candidates are assessed on their performance in the work setting against a set of national standards. Assessment is carried out by qualified assessors from the candidate’s workplace or by assessors who operate from the local NVQ assessment centre. 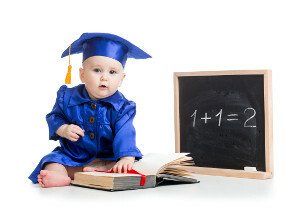 ADCE (Advanced Diploma in Childcare and Education). This is an advanced course open only to experienced child carers. A Nursery Manager is likely to have this qualification. This is a two-year course at a private residential college. Many aspects of childcare are covered, including maternity and paediatric care in a hospital. Students who have passed all their exams, including the final Norland Assessment, become probationers. The Norland diploma and badge is not awarded until students have completed a year in a probationary post. The is given in addition to the NNEB qualification. The Chiltern College offers various childcare courses, the most popular being the two-year NNEB qualification. The NAMWC Certificate is aimed at 16-18 year olds and covers children from 0-teenagers, whilst an advanced certificate is aimed at more mature students such as childminders who wish to study for a Professional Qualification. Another alternative here is a two-year diploma course. These nurses will have completed a 2 or 3 year training course, working in all areas of Health and Care Support and maybe specialising in a particular area of medical expertise. This diploma is run through an organisation called the Pre-School Learning Alliance and is a one year course based around Playgroup and Nursery environments. It involves all aspects of child development, with an emphasis on learning through play and child centred learning. These nannies may have no formal training but will have worked as a nanny in the private sector before, for several years and are Ofsted Registered like any other nanny. A nanny with varied experience can be just as valuable as her trained counterpart.